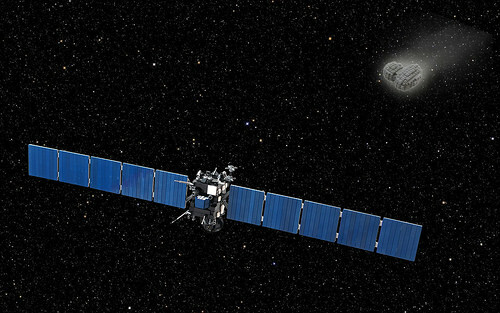 After over 10 years in flight, the European Space Agency’s Rosetta space probe today arrived at it’s target, comet 67P/Churyumov-Gerasimenko. And builder Stefan Schindler decided to commemorate the event by recreating it in LEGO! Not only did he do a splendid job on the probe, he even managed to capture the bizarre shape of the comet as well. Stefan has entered his creation in the ESA’s official #RosettaAreWeThereYet photo contest. So LEGO fans should head over there and VOTE FOR IT NOW! (Entries are piling up so you may have to search for it on the second or third page).